Ah, finally a little fun! Here is where all that math and science meets up with FASHION! Welcome to All About Frames! Frames are made from parts. You need to know what those parts are called. Lenses are held in place in the frame in several different ways. Frames are divided in to geometric section so you can get accurate measurements. Eyeglass frames are made of all sorts of different materials. Here are the steps to place a frame in Standard Alignment or Standard Adjustment. Adjusting a frame takes a little physical and mental preparation. You only need a few tools to safely and correctly adjust eyewear. What to think about before anything else. 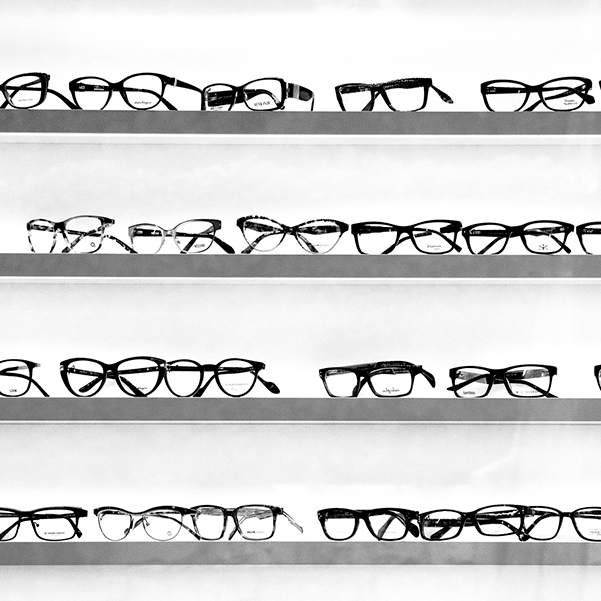 Just like shoes and clothes eyeglasses come in all different sizes. It is more than just the fitting triangle. Here are the steps to adjusting a frame for your customers unique facial characteristics. The position of the lens in front of the eye can effect perceived Rx. Measurements are the most important thing you do. Eyeglasses are actually made from the patient PD. How to fit a progressive lens. Dispensing eyewear is about developing a routine. New lined multi-focal and progressive wearers need some coaching. Occasionally you will have a customer complain about their vision through a new pair of glasses.